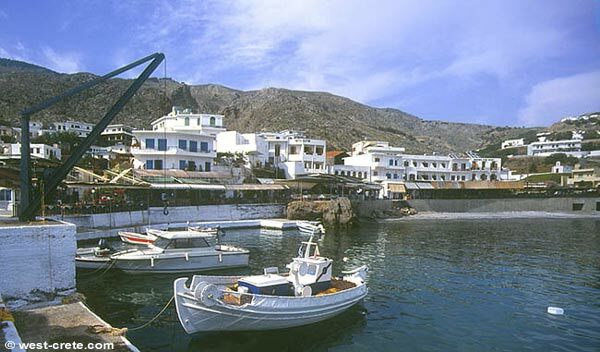 Chora Sfakion (or Hora Sfakion) is the capital of the district of Sfakia, one of the wildest and most scenic regions of Crete. 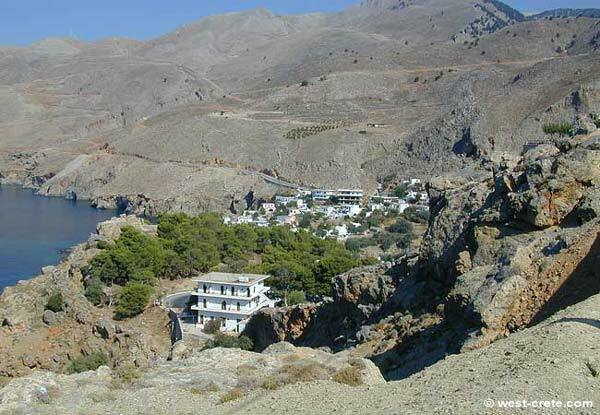 The village is located in beautiful surroundings and is an excellent starting point to explore the south coast of Crete. 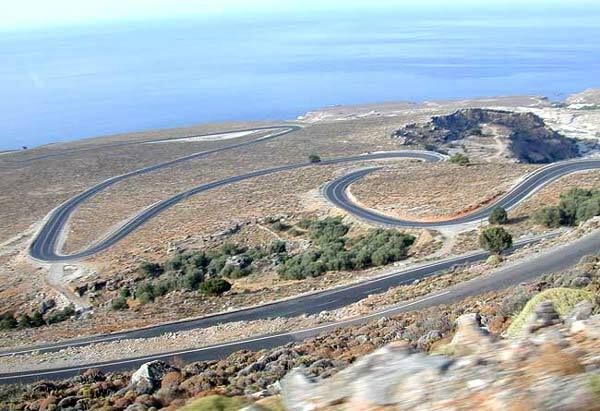 Superb drive over the mountains on a very curvy road. It will take you about an hour from the northern village of Vrisses (unless you are familiar with the road in which case you can make it in less time). There are a few public buses from and to Chania every day. 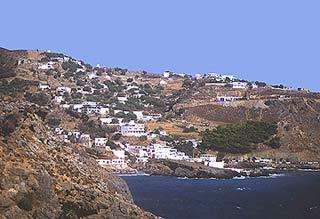 Hora Sfakion is laid back and very traditional. 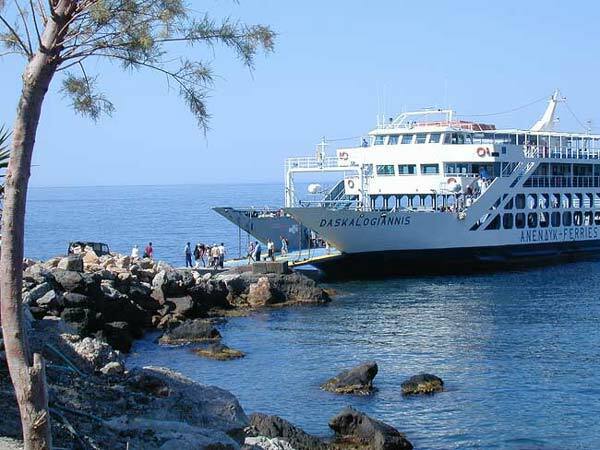 It gets busy briefly in the afternoon when the ferry-boat from Agia Roumeli (and the gorge of Samaria) arrives and disgorges hundreds of exhausted hikers. They generally go straight to the awaiting buses and are gone within minutes. Plenty of nice simple accommodation. All of it is family run so no package tours here. 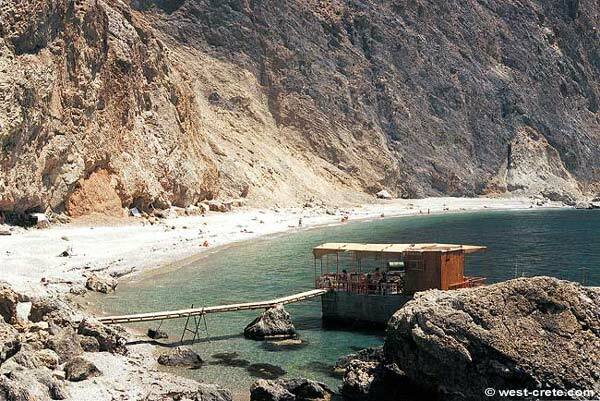 Several good restaurants located right on the sea front and also one right above the beach. There are several shops which will provide most of your basic needs. 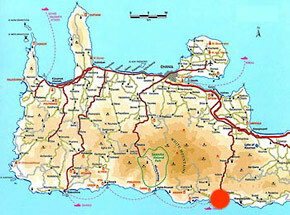 There is also a pharmacy, petrol stations,, a post-office and two ATMs. A few cafés stay open late. There is a small, quiet beach with fine pebble in the village. 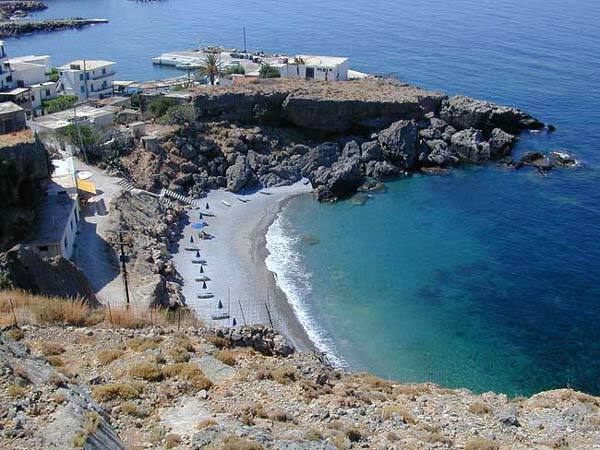 The nice beaches of Ilingas, Filaki and Sweet Water Beach are located within walking distance. 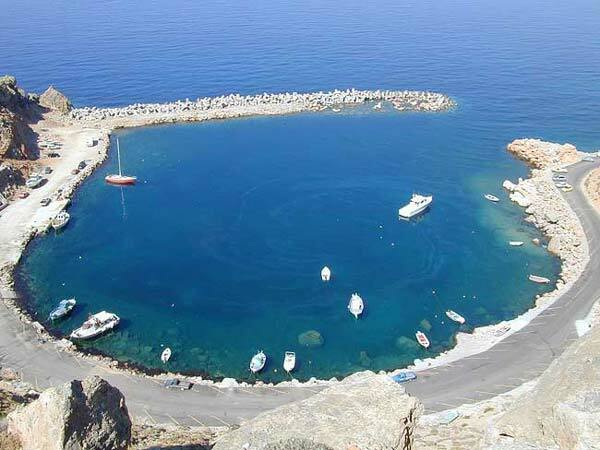 Sfakia Crete is comprehensive Cretan web sites Photos of Sfakia contains a very large photo gallery of the region.